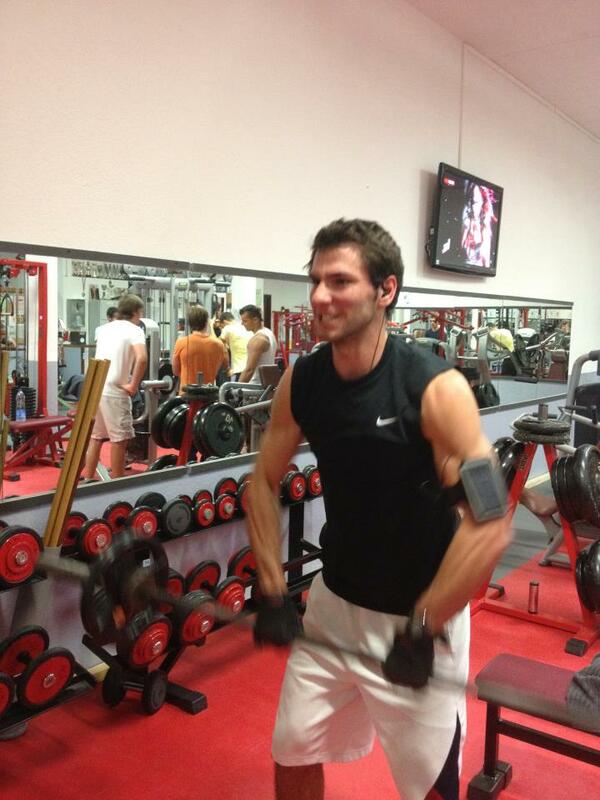 Our son Andrew working out in the Sainte Maxime gym while in Paris our eldest son Lewis is on the insanity programme! I think I need to get down to the gym....................quick!! 1. You'll lose 40 percent more fat. 3. You'll burn more calories. Exercise helps your brain stick to a diet plan. University of Pittsburgh researchers studied 169 overweight adults and found that those who didn't follow a three-hours-a-week training regimen ate more than their allotted 1,500 calories a day. The reverse was also true— sneaking snacks sabotaged their workouts. The study authors say both diet and exercise likely remind you to stay on track, aiding your weight-loss goals. 5. You'll handle stress better. Yoga isn't the only Zen-inducing kind of exercise. Researchers found that people who performed three weight workouts a week for six months significantly improved their scores on measures of anger and overall mood. 7. You'll build stronger bones. 8. You'll get into shape faster. The term cardio shouldn't describe only aerobic exercise: A study found that circuit training with weights raises your heart rate 15 beats per minute higher than if you ran at 60 to 70 percent of your max heart rate. This approach strengthens muscles and provides cardiovascular benefits similar to those of aerobic exercise— so you save time without sacrificing results. 10. You'll be way more productive. Lifting could result in a raise (or at least a pat on the back from your boss). Researchers found that workers were 15 percent more productive on days they exercised compared with days they didn't. So on days you work out, you can (theoretically) finish in eight hours what would normally take nine hours and 12 minutes. Or you'd still work for nine hours but get more done, leaving you feeling less stressed and happier with your job—another perk reported on days workers exercised. 12. You'll be even smarter.